1. Google Chrome remembers zoom settings for each domain. Go to http://www.nytimes.com, zoom using Ctrl+ or Ctrl-, close the tab and reopen it. 2. Remove individual items from the history. Go to the History tab (Ctrl+H), click on "Edit items", select the pages you want to remove and click on "Remove selected pages". 3. 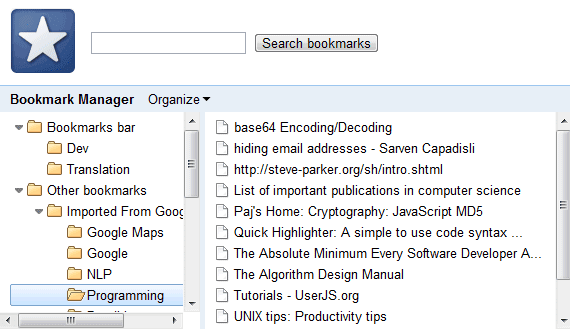 The new bookmark manager is an HTML page that opens in a new tab. It looks better than the previous manager and it has the advantage that extensions will be able to add new features. 4. Google Chrome can synchronize themes and preferences, in addition to bookmarks. 5. Google Chrome includes Adobe's Flash plug-in, so you no longer have to install it or worry about keeping it up to date. Open a site that uses Flash, right-click on a Flash object and select "About Adobe Flash". You should see the message "You have version 10,1,53,22 installed". 6. Disable individual plug-ins. Go to chrome://plugins/ and disable the plug-ins you don't need. You can disable Google Gears, Adobe Flash, Google Update or any other plug-in installed on your computer. 7. Extensions in incognito mode. Chrome disables all extensions in incognito mode, but you can manually enable some of them from the Extensions page. 8. Native geolocation. The previous Chrome versions used the Google Gears implementation, but Google Chrome now supports HTML5 geolocation, so that more web applications can easily find your location. Go to Google Maps, click on the small circle above the Street View logo and you'll see an infobar: "maps.google.com wants to track your location". "If you allow Google Chrome to share your location with a site, the browser will send local network information to Google Location Services to get an estimate of your location. The browser can then share your location with the requesting site. The local network information used by Google Location Services to estimate your location includes information about visible WiFi access points, including their signal strength; information about your local router; your computer's IP address," explains Google. 9. Manual translation. Now you can disable the auto-translation feature and still be able to use the built-in translator. Even if you disable the Google Translate integration from Settings/Under the hood, you can still right-click on a page and select "Translate to English". 10. Reorder extension buttons. You can change the order of the buttons installed by Google Chrome extensions using drag & drop and even hide some of the buttons. Bonus enterprise feature. Google Chrome now supports Integrated Windows Authentication. If you have access to an intranet site that uses Microsoft IIS and requires NTLM authentication, open it in Chrome 5. This is one of the most requested Chrome features, after the support for Core Animation NPAPI, extensions and a bookmark manager. For those who are wondering, Google Chrome 5.0.375.29 is the latest beta and the latest dev release for Windows, Mac and Linux. This page shows the most recent two releases for all Chrome flavors. So does the NTLM authentication only work on Windows builds or on all platforms? Because if it worked on all platforms that would be one less reason why I have to be stuck with Windoze! "Chrome mirrors IE's Security Zones to decide whether to prompt for credentials, and only uses default credentials if the site is considered an intranet or a trusted site. By default, if you type in an FQDN for the host in the URL it will be considered an internet site, so SSO is not done. For OSX/Linux clients we will use an explicit whitelist of sites where default credentials can be used. This whitelist will also override the behavior listed above in Windows." To disable the geolocation feature, go to Settings/Under the hood, click on Content settings, select the Location tab and enable "Do not allow any site to track my physical location". Can I place the web page in an arbitrary location (like a network file share or remote webserver assuming WebDAV is supported to update it). I've been looking for a way to share bookmarks among my Chrome/Firefox browsers but don't want to use a third party service that may leak/sell/etc. my data. This is amazing. Chrome just gets better and better. I can understand (somehow) the Synched Bookmarks appearing in the Google Docs interface but the Preferences and the Theme. They seem to be a little out of place there specially since you can't edit or view them. If Google Docs is going to be the central piece of the synched information for Google accounts maybe is time to rename it to something else. Truly some amazing features. I forgot that I switched to the dev channel a while back so I've been using some of these features for a while (which was a bit confusing, heh.) Any way to turn off domain-wide zoom? It gets a bit annoying in some circumstances. so still no way to delete the Other Bookmarks folder and the ridiculous blue file icons? I wish they added support for syncing passwords. It was gonna be included in Chrome 5 but they had to push it back to 6, along with extension and open tab syncing. There is an extension for detecting and previewing feeds, but it wasn't included in Chrome because not many people use a feed reader. I don't think it was a good decision. Why not use XMarks? If you are paranoid, why not set up your own host with XMarks? It is also possible. Wehay, plugin exceptions now support wildcards! It's nice that you can now disable individual plugins too, but what I actually want to be able to do is to allow all of the plugins on websites, except for Flash which should only be enabled on those sites that are in the 'allow' list. At the moment, with plugins disabled, it seems you still have to enable all plugins on a site, including Flash, even if you just want to open a PDF..
For 64bits Linux boxes Chrome 5 will use the beta Flash plug-in? or Adobe is finally going to release an stable version? 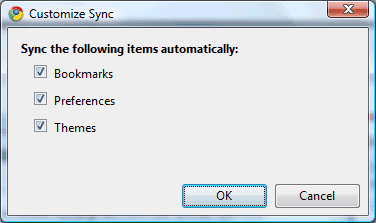 One question: Does the sync include search engines? Everything else looks pretty awesome (although I wish I had the option to hide buttons entirely, in some cases), and I'm really looking forward to extension sync in Chrome 6. If Chrome really wants to impress me, it will get the ability to download items directly to Google Docs. I would like to be able to right click on a picture and download it to my Google Docs as well. I didn't know you could edit the browsing history. Nice! You can also delete entries from the Omnibox, but this new feature is better. My favorite new feature in Chrome 5 beta is integrated Flash. there are some sites in Romania that are not properly shown in the chrome. one of this is anaf.ro . it is posible that i don't not have a plugin istaled, but chrome is not asking me to install the missing plugin like firefox did. It's not Google's fault that clueless web developers serve a different pages to other browsers than IE and Firefox. Change Chrome's user-agent to IE8's user-agent and Chrome will display the web page. --user-agent="Mozilla/4.0(compatible; MSIE 8.0; Windows NT 6.0; Trident/4.0; Mozilla/4.0(compatible; MSIE 6.0; Windows NT 5.1; SV1))"
I WANT SEPARATOR LINES ON BOOKMARKS !!! "This is amazing. Chrome just gets better and better." Does anyone know of a good download manager for Chrome? Chrome is my favorite browser and it's nice to see this updates. I think I'll make use of the bookmarks manager more often now. Flash has crashed on me a few times, do you know if there is anyway I can get help with that? Thanks for the updates. "We've also implemented a new approach to our Google Update technology, which allows us to remove the unique ID from Google Update while still preserving our ability to determine the number of active users and keep everyone up-to-date with the latest security updates and speed improvements." Google's Chrome is supposedly a fast browser but on my PC, Firefox loads pages much faster. Probably my Chrome is corrupted. "Google Chrome remembers zoom settings for each domain. Go to http://www.nytimes.com, zoom using Ctrl+ or Ctrl-, close the tab and reopen it." Well wooptedioo - their inept amateurish zoom crap, zooms into the page like it was a picture - it doesn't have a way to only increase FONT SIZE. If you don't have super dooper eyes, you can't use chrome, and zooming doesn't help when they just zoom into a little part of the page. This sounds excellent. I really admire what google are doing with their browser. :) Eventually Chrome will be the market leader and everything will be stored centrally. Dear author & all here, please tell, how to "Un-install = Remove", Chrome Plugins, which are installed here (chrome://plugins/). Chrome is my favorite browser and it's nice to see this updates.It just gets better and better. Now Chrome is updated to Version 6. A new post would be appreciated. is this possible to run chrome from virtual pc? I'm using it in Debian GNU/Linux. The bookmarks are kind of slow to load and they can't be loaded with Ctrl-B, so every time I want to use them I have to open a new tab... still beats iceweasel's speed in every sense though. Use Ctrl+Shift+B to show/hide the bookmarks bar.